Most of our gigs are in the Downstairs at the King’s Head venue. 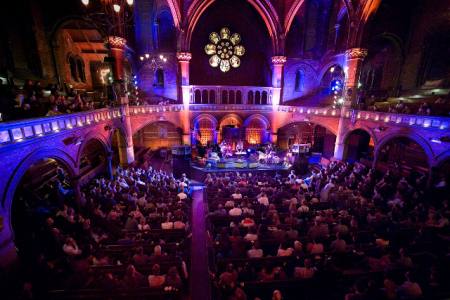 The Union Chapel is an architectural treasure that’s home to a church, an award winning venue, a unique organ and a centre for those homeless and in crisis in London. The building itself was saved from demolition in the 1980’s thanks to the campaigning of local residents who went on to become Friends of Union Chapel. 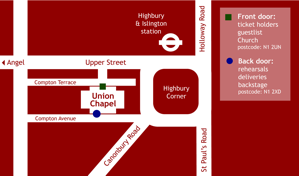 The Union Chapel Project was formed as a charity to restore & develop the building and to open the space up to a diverse group of people. The Chapel is now Grade 1 listed and welcomes thousands of visitors a year.